Every two years Australian Air League cadets from around the country gather to take part in the Australian Air League Review, where they take part in a day of competition in a spirit of fun, goodwill and comradeship. 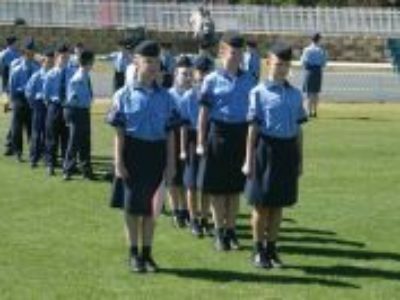 Cadets begin preparing months in advance, keen to compete and find which units are the champions in areas such as precision marching, physical activities, marching bands and education displays. As well as the competitions, the cadets enjoy the fun and team building that comes about from the event and the trip to the venue. For some younger cadets its their first interstate trip away without mum and dad! For the first time, the Council of the Australian Air League will be providing Squadrons travelling greater than 500km to the Review a subsidy to help get as many cadets as possible to the Review. Squadrons will receive $25.00 towards travel costs for each uniformed member that travels to the Review parading in the afternoon in front to the Reviewing Officer, the Governor-General, His Excellency General the Honourable Sir Peter Cosgrove AK MC (Retd) and Lady Cosgrove.